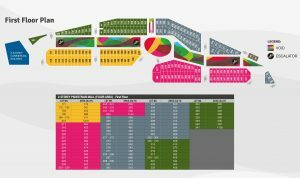 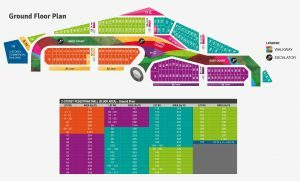 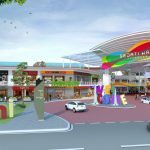 Sejati Walk – WMG Holdings Bhd. 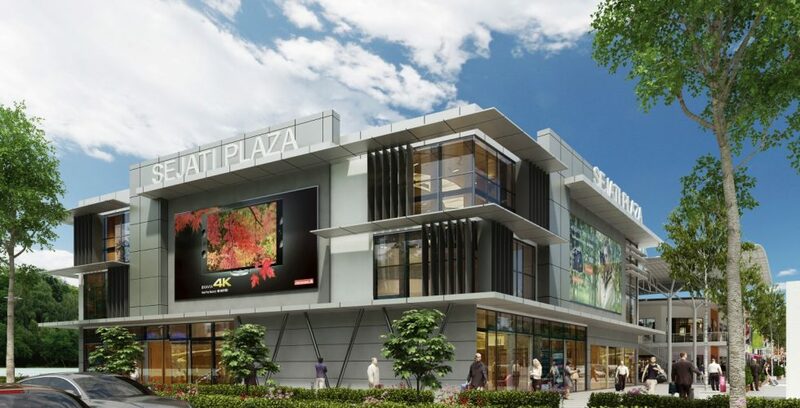 As the name suggests, Sejati Walk is an eco-friendly low density pedestrian mall, well degned with natural ventilation and natural lighting, yet providing a high level of human comfort. 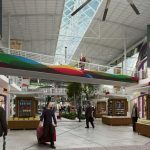 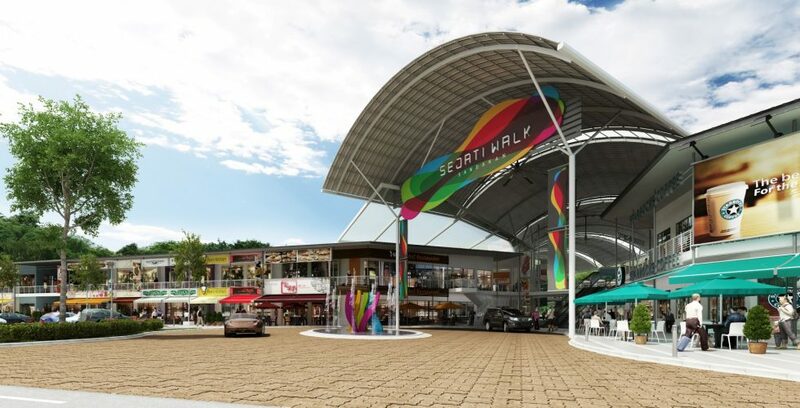 With prominent colors, three wide and generous entrances mark the beginning of each “Walk” all meeting up at the centre court, where the main events will be taking place. 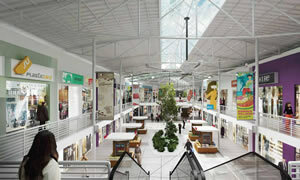 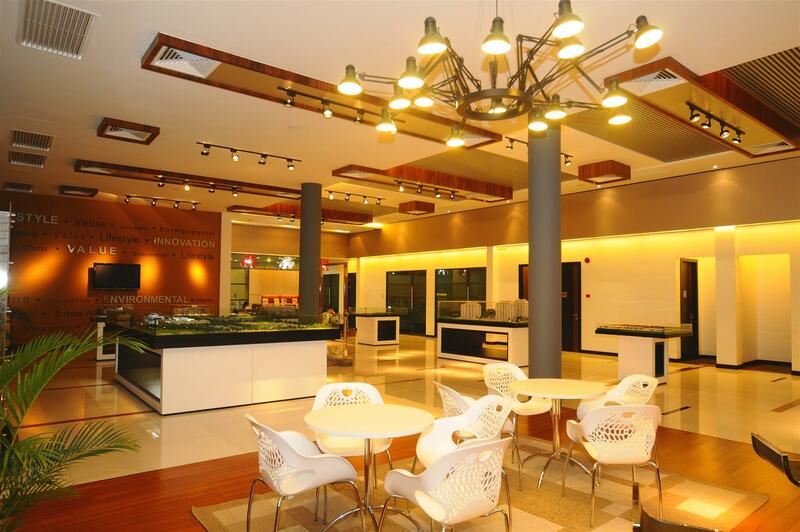 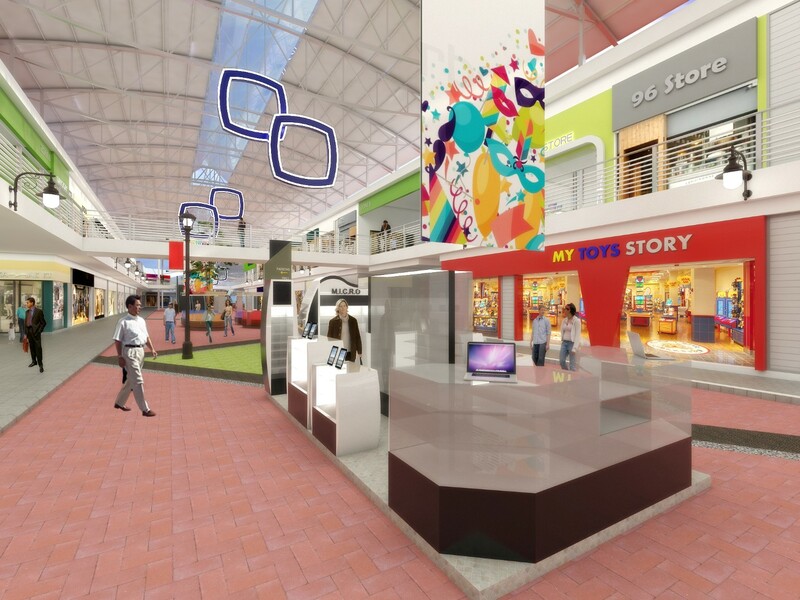 A street life experience is thus to be enjoyed in comfortable shopping environment. 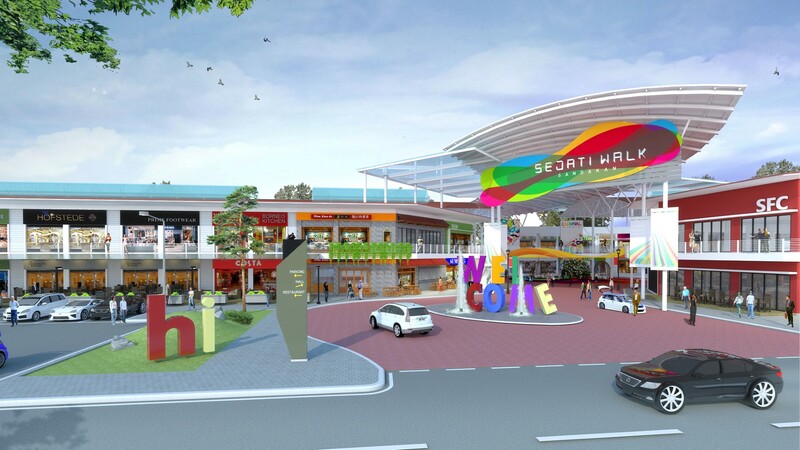 It’s only a 3-minute drive away from Sandakan airport. 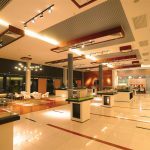 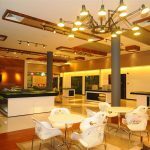 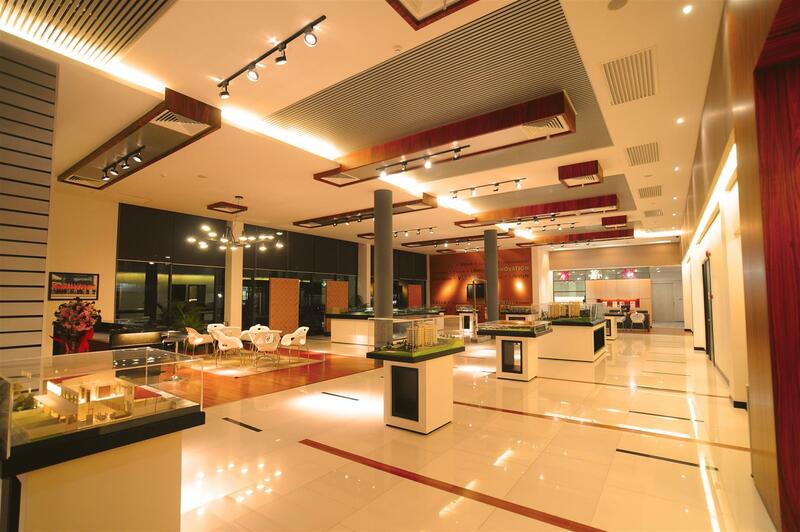 Sejati Walk is Lounge” for travelers. 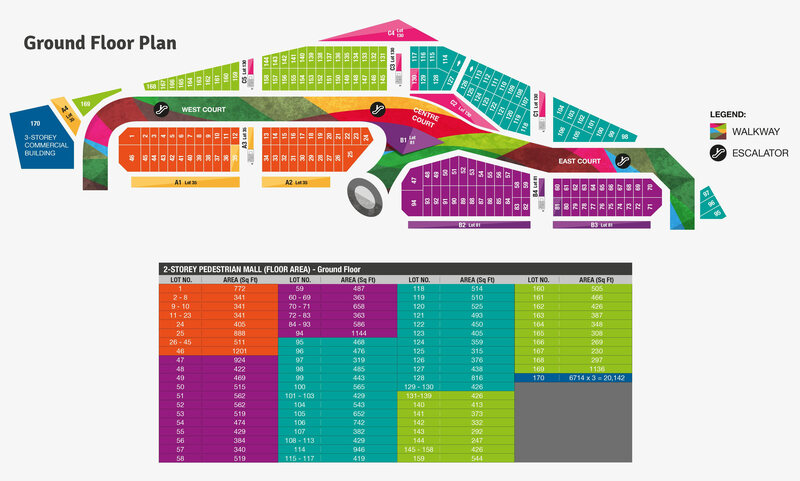 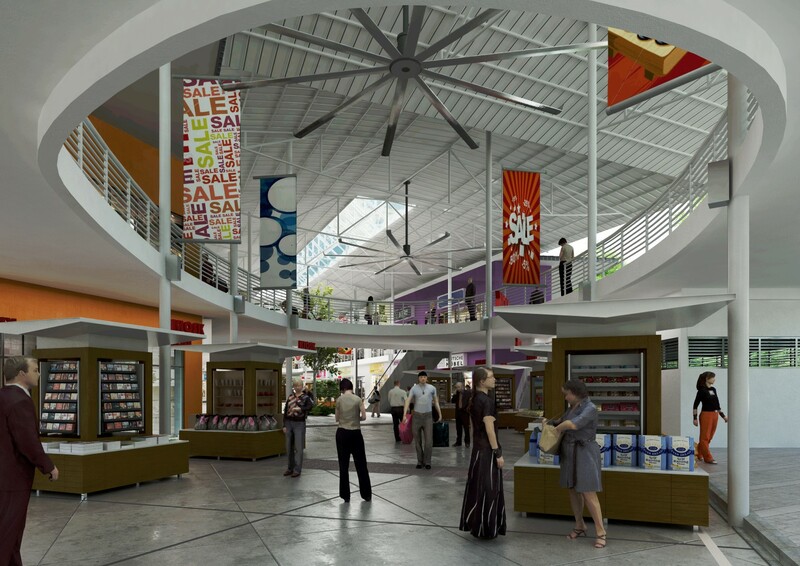 A complete out-and-out “lounge” where passengers shop, relax and spend their waiting period in a productive manner. 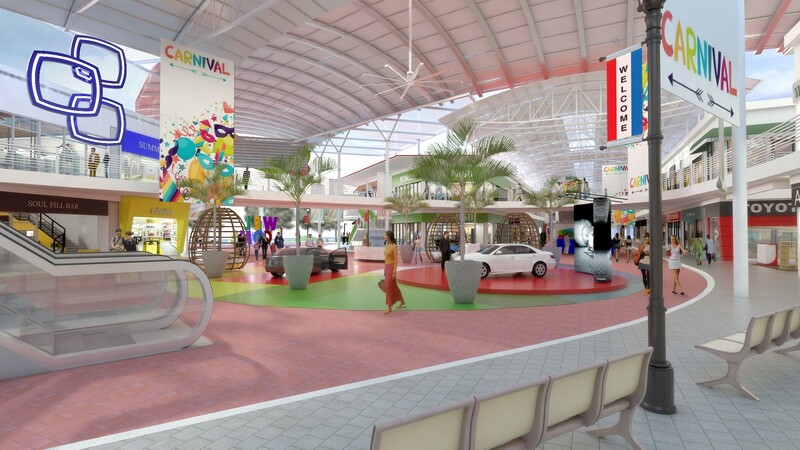 It is going to be eminent spot and tourists will flock to this prominent presence. 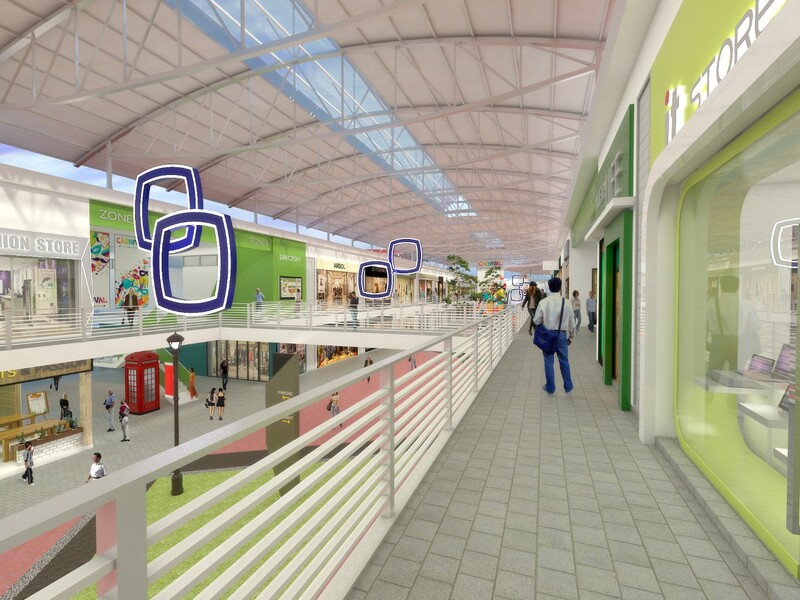 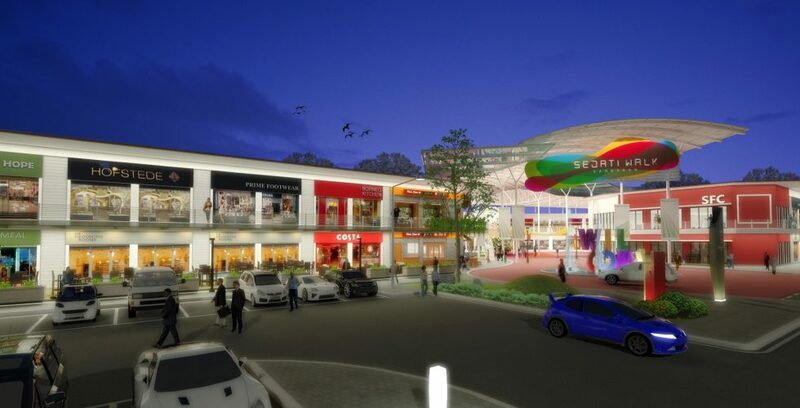 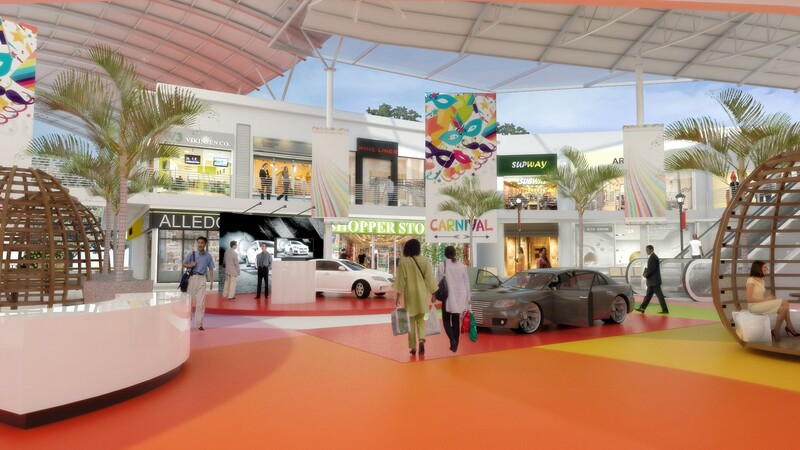 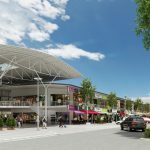 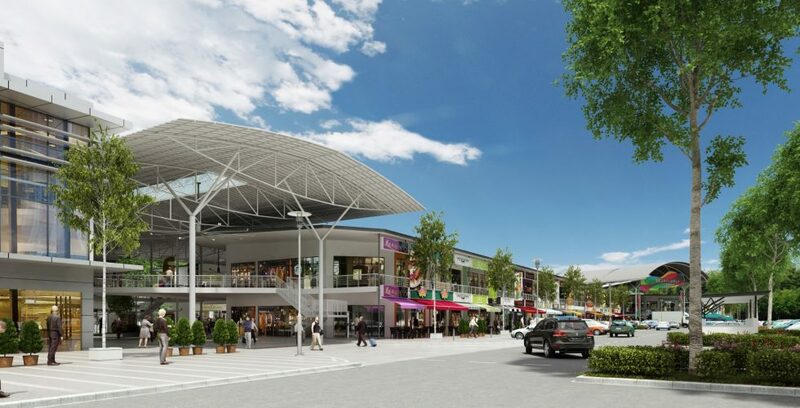 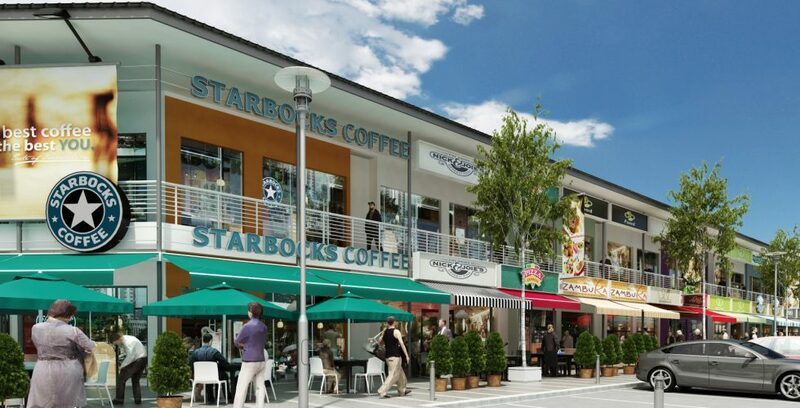 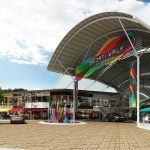 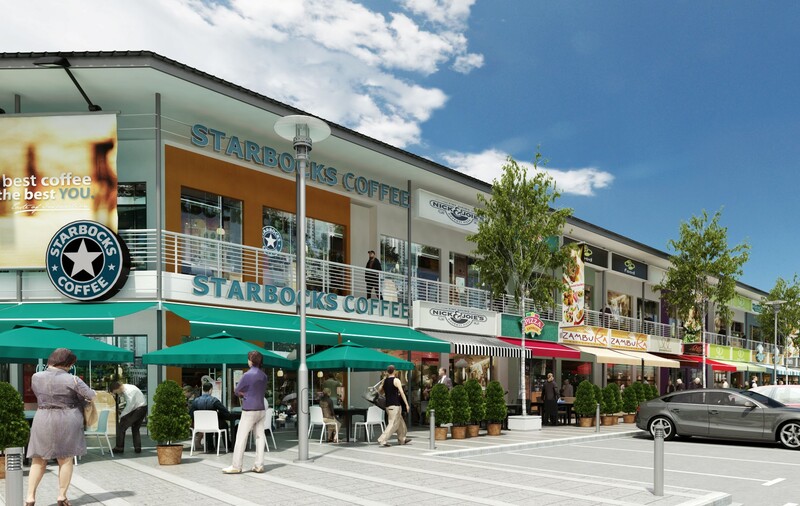 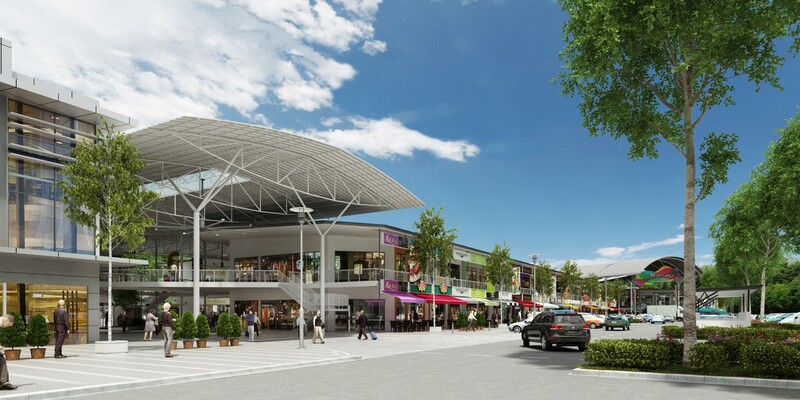 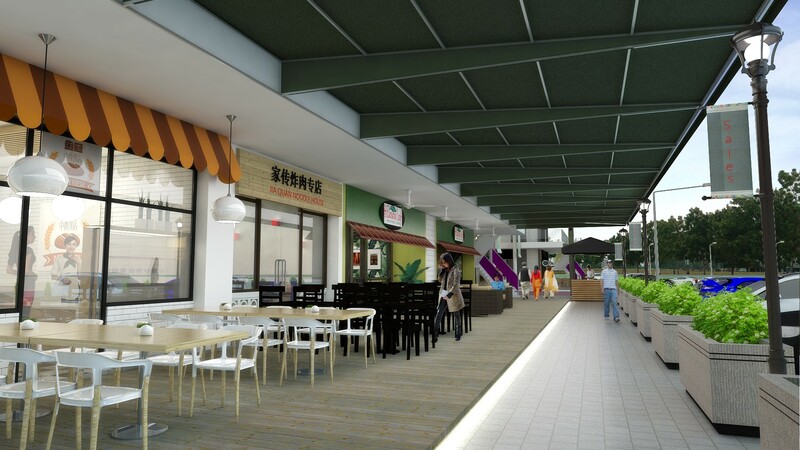 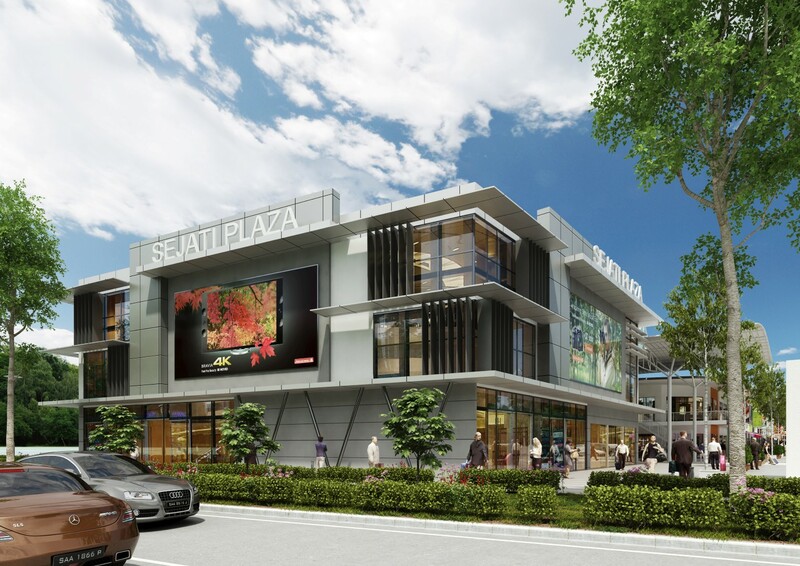 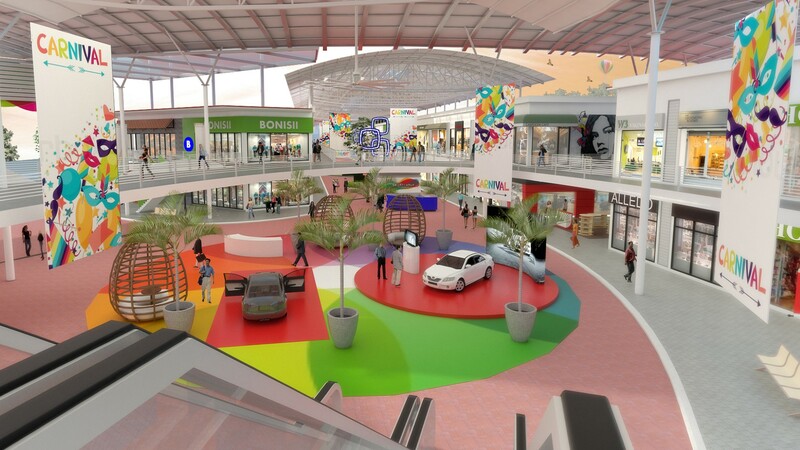 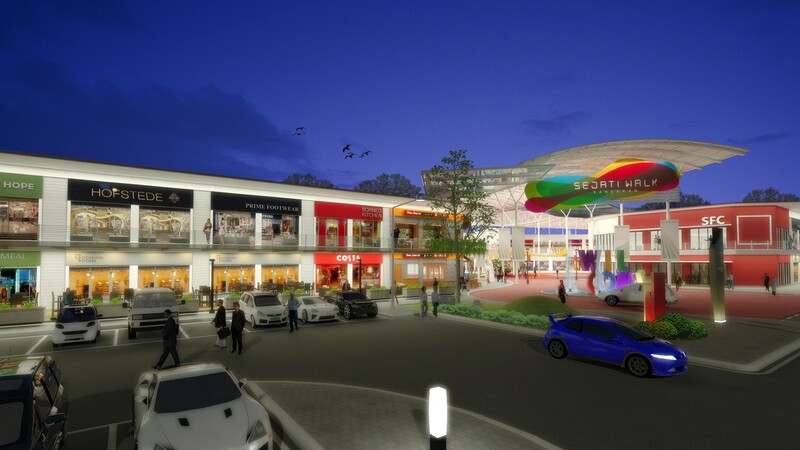 Sejati Walk will definitely be the cornerstone of Sandakan’s shopping destination. 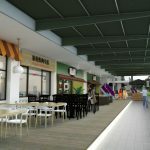 Located a few minutes away from Sandakan Airport. 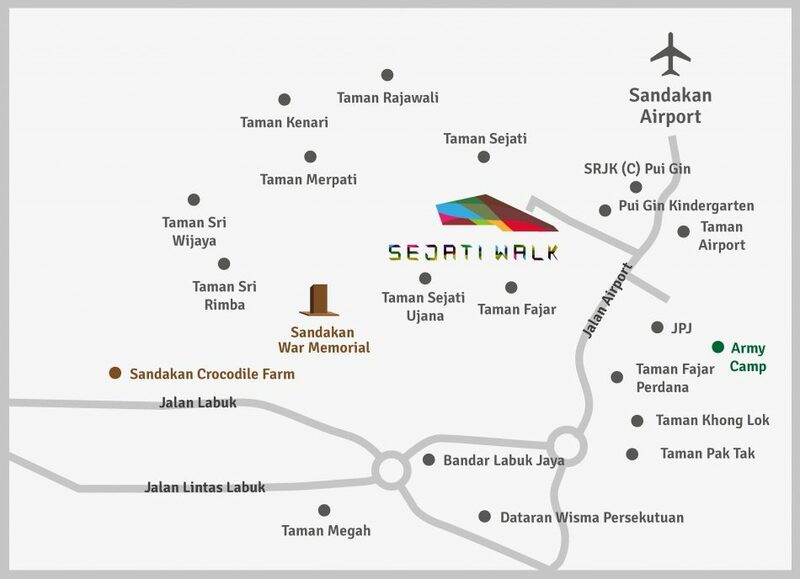 Sandakan War Memorial and Crocodile Farm. 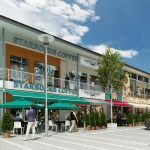 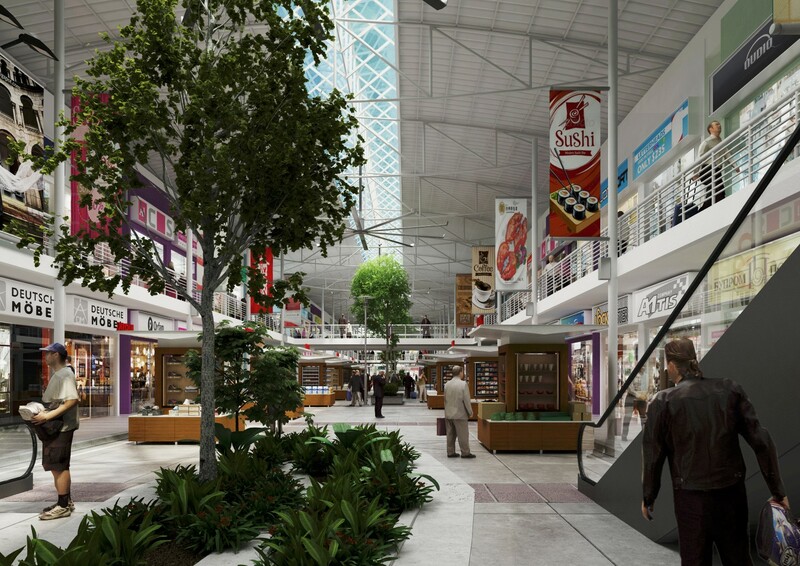 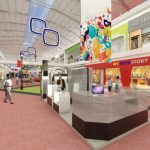 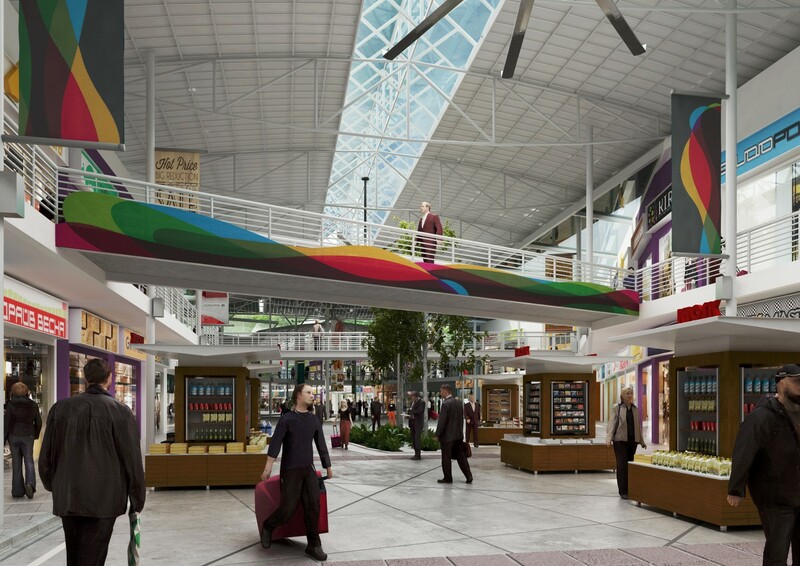 Sejati Walk will become the ideal location for tourists to relax, recharge and shop. It is a one stop mall for all the residents living around Sejati Walk. 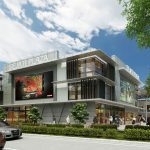 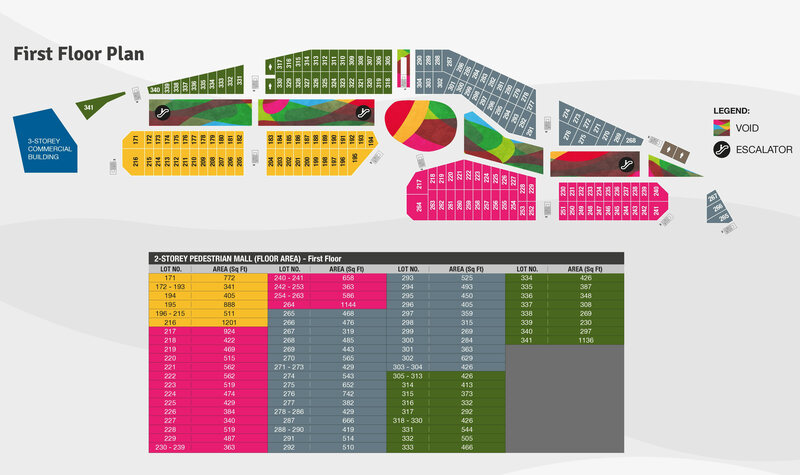 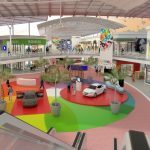 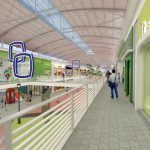 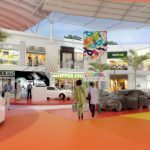 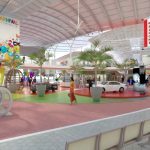 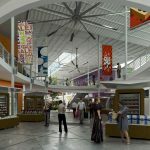 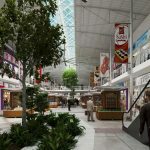 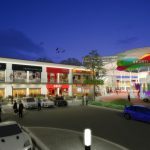 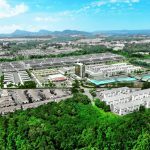 The strategic location and conscientious planning of the new concept mall is poised to propel further growth in Sandakan.